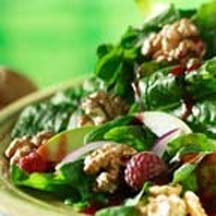 CooksRecipes has quality, kitchen-tested recipes for salads featuring spinach as a main ingredient. This tangy salad with toasted walnuts and fresh pears makes a perfect first course, side salad or light lunch. 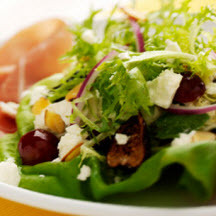 An elegant salad of organic mixed baby greens tossed with a shallot, tarragon and wine vinaigrette, topped with pistachios and shaved pepato cheese. An elegant first course salad served in Boston lettuce 'cups'. 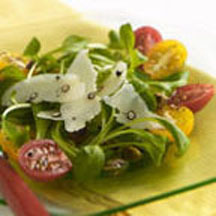 Recipe by Chef Michael Smith.